Mar 20 22:58: Magnitude recalculated from 4.8 to 4.3. Hypocenter depth recalculated from 13.0 to 35.0 km. 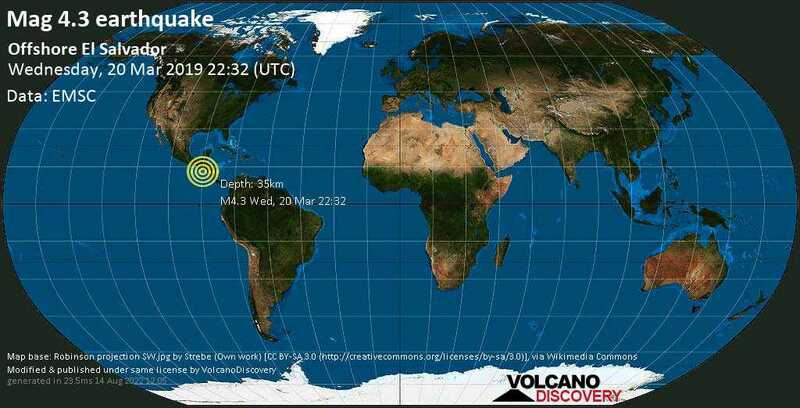 Oaxaca (873.2 km WNW from epicenter) [Map] / MMI IV (Light shaking): :29 on 3/21/19 in Oaxaca City I felt sustained rumbling for about 1/2 a minute.